Your work demands durable workwear, and you also prefer the cool, comfortable freedom of wearing shorts on the job site. These Wrangler Riggs Men's Bark Brown 3W360 BR Cotton Ripstop Ranger Shorts deliver airy comfort and the rugged durability you need at work. ... (see full details) (see specifications) #WRG3W360BR. Your work demands durable workwear, and you also prefer the cool, comfortable freedom of wearing shorts on the job site. These Wrangler Riggs Men's Bark Brown 3W360 BR Cotton Ripstop Ranger Shorts deliver airy comfort and the rugged durability you need at work. These bark brown cargos are constructed of 10-ounce 100% cotton ripstop fabric, and that's just the first work-friendly feature. Ripstop fabric does what it says it will do by stopping tears and rips when they start. The breathable, natural cotton fabric hangs beautifully, washes easily, and wears great. And that's not all that makes these short work pants tough. The front panels are reinforced for added wear-resistance, they're constructed with triple-needle stitching, the belt loops are a sturdy 1/4-inch X 2 1/4-inches, and they close with a durable #5 YKK zipper. Designed with the Room2Move® fit, these ripstop shorts are made to feel comfortable while you move and work, with an improved fit in the seat and thighs. The action gusset at the crotch adds extra fabric to the design so you can easily bend, climb, squat or stretch. The 11.25-inch inseam is the perfect length, made to hit below the knee. We said these men's cargo shorts are made for work, and we can prove it by the storage space. The front pockets are a roomy 13 inches deep. The back pockets are reinforced at stress points and lined with durable 1000-Denier Cordura® fabric that resists abrasions. The cargo pockets have flaps and concealed snaps to keep your stuff secure. An oversized watch pocket, right-side hammer loop, and patented leather tape measure reinforcement on the right front pocket of these pants add extra spots for storage. 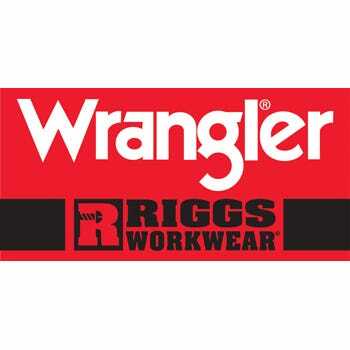 Stay cool, and stay ready for the job in these Wrangler Riggs Men's Bark Brown 3W360 BR Cotton Ripstop Ranger Shorts. These shorts are just like the Ranger pants....tough. Watch them in the wash as they like to fade a little. Did I say tough? They are, period. Rip stop and lots of FUNCTIONAL pockets plus a hammer loop. I actually used mine to go on an African safari. The colors were perfect for the bushveld. Give them a try. I wear shorts a lot and sometime even in winter and these shorts are made to wear. Enough pockets to be useful and made like iron. I can be as rough with them as I want to be and never worry about them ripping or tearing as the more they are used and washed the better they look. If you want something that lasts...buy a few pair of these. I've worn the Riggs Ripstop Cargo Pants for years to off-road in my Jeeps. We hike through heavy brush and give them more abuse than almost any pant can endure and they never tear or fail. They give excellent protection from thorn bushes as well. The shorts (made of the same great ripstop material) give the same durability and I fully endorse both. I have been wearing the Wrangler Ripstop pants and shorts for years now. Working on and around farms and farming equipment, I have managed to tear or split even the best of denim jeans and the strongest of other brands. These are holding up extremely well. Pockets are good sized and the rear pockets are reinforced to prevent you from poking a screwdriver through them, maybe just me. Wrangler Riggs Shorts: Men's Bark Brown 3W360 BR Cotton Ripstop Ranger Shorts is being added to your cart.